JV Wolves Defeat Mt. Si. The Wolves JV football team battled the Mt. Si Wildcats JV on Monday at Eastlake Stadium. 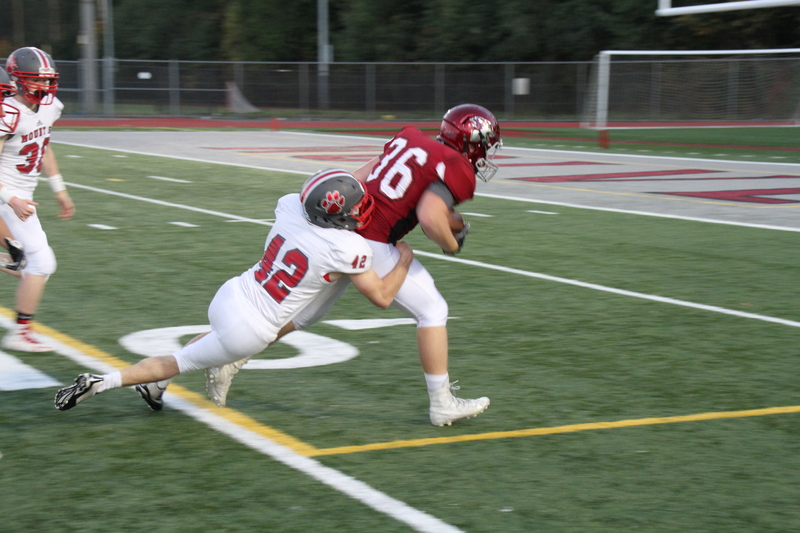 The Wildcats from Snoqualmie were looking to exact revenge for their varsity teammates who lost badly to the Wolves last Friday night. Sadly for Mt. Si, Eastlake handled the challenge and won the game 22-8. With the win, the Wolves are now 4-1 for the season. Eastlake drew first blood, when quarterback Colton Padgett tossed a touchdown pass to Jack Rudd. Padgett then rubbed salt in Mt. Si’s wound by finding Nate Sutter in the end zone for a two point conversion. At the end of the 1st quarter, Eastlake was ahead 8-0. In the second quarter, the Wildcat offense had their lone big play of the game, an 80 yard touchdown bomb. They were then able to tie the score, 8-8, by completing a two point conversion of their own. 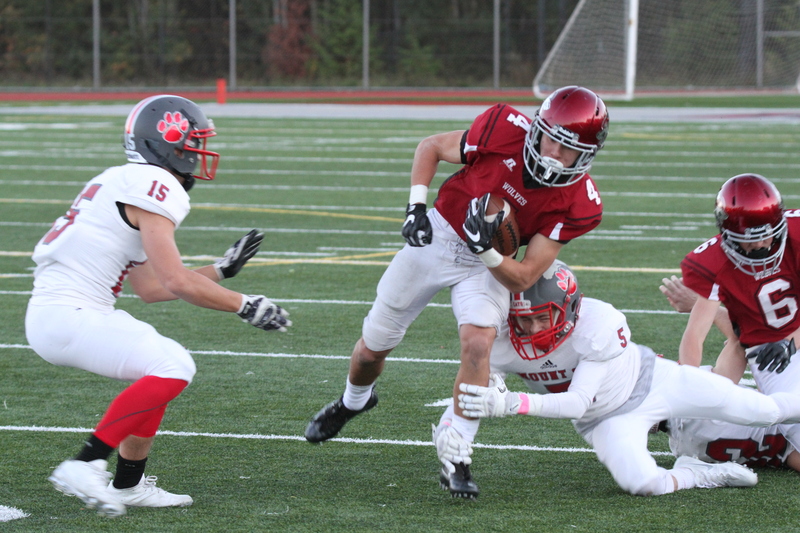 But, the Wolves weren’t finished for the first half as Carter Cox pounced on a pass with a fantastic interception of the Wildcat quarterback. Padgett and the Eastlake offense made Mt. Si pay. Padgett hit Sutter for a touchdown, and the Wolves ended the first half on top 14-8. In the second half, the Wildcats never quit and the Wolves never let up. Both teams’ defenses rose up and the third quarter was kept scoreless. In the final quarter, Eastlake iced the game with a touchdown. On the scoring play Padgett kept the ball and absolutely trucked the Wildcat defender while charging into the end zone. Padgett then added insult to injury by calmly tossing the ball to Jack Henderson for a two point conversion. The score was 22-8, and the Eastlake defense kept Mt. Si at bay for the remainder of the game. Final score Wolves win 22-8. Other Eastlake highlights include the hard running by future star Andrew Plummer. The offensive line opened up big holes all night and did a great job protecting their quarterback. On defense, Henderson made several nifty plays. Also, Jack Reischman delivered fearsome punishment with his hitting. 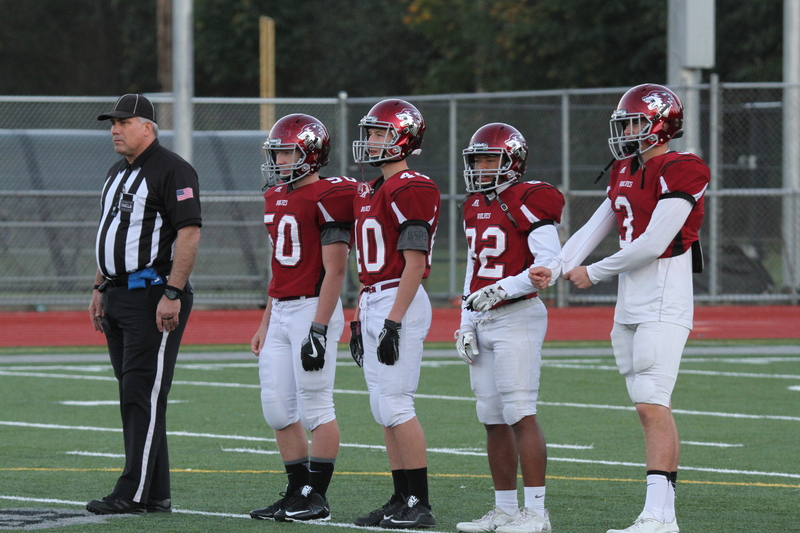 The defensive line was stout behind William Woodgate and Garrick Teglovic. 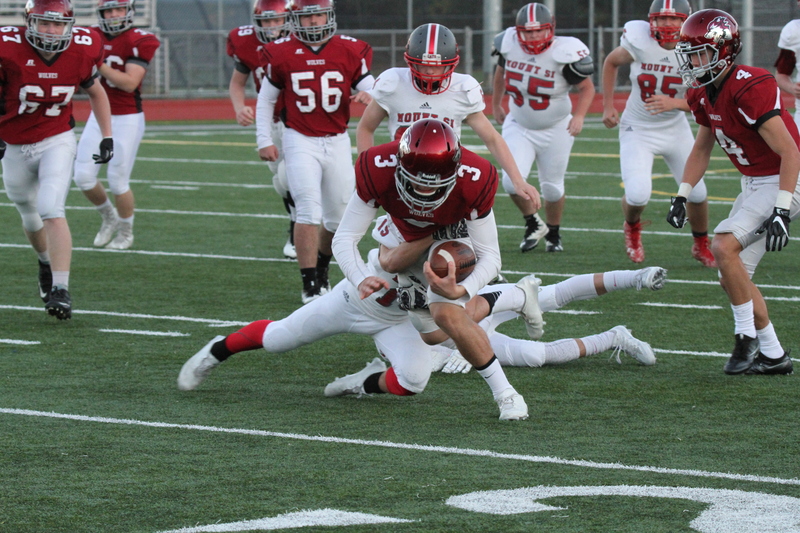 The Wolves special teams kept the Wildcats in check throughout the night, and Taige Thornton leaped onto a fumbled punt for a turnover. Eastlake will take on the Newport Knights at 6:00 pm next Monday at Eastlake Stadium. Please come out and show your pride.